Centaurus A lies 11 million light years distant in the constellation of Centaurus. It has been extensively studied as a strong radio source and is a popular southern target, being the fifth brightest galaxy in the sky. It is viewable only very low over the horizon at northern sites. It spans 60,000 light years across and has a most peculiar shape, considered to arise from a collision of galaxies with its elliptical shape covered by an immense dark lane with new star formation. It has a super-massive black hole at its center that creates the radio and X-Rays emanating from a relativistic jet that is not seen in optical images. 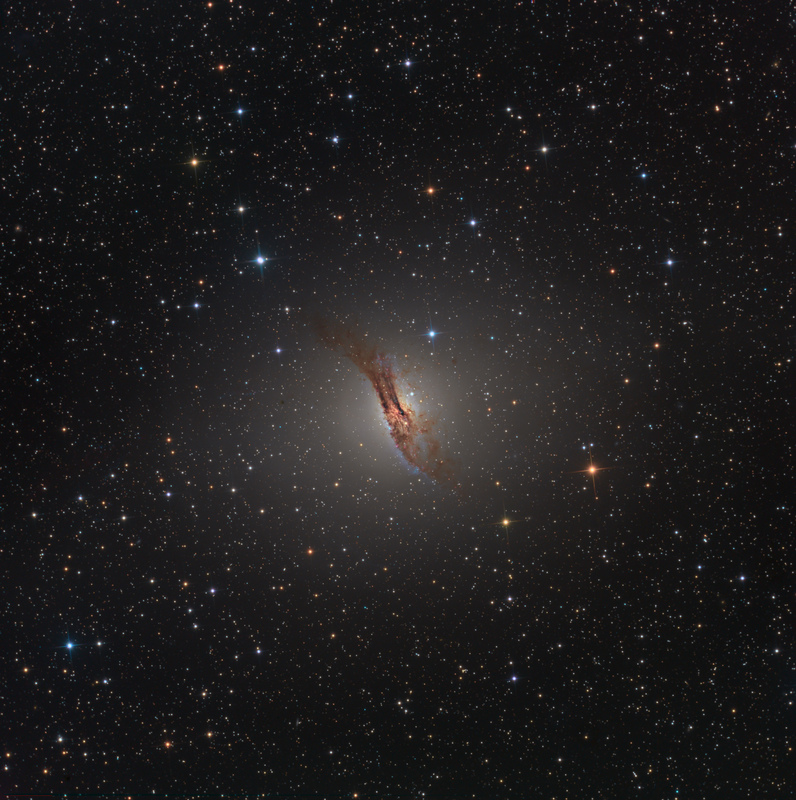 The large dust lane is actually a remnant of a galaxy that was captured by Centaurus A 200 to 700 million years ago.